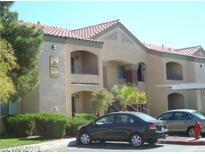 Below you can view all the condos for sale in the Rancho Viejo subdivision located in Las Vegas Nevada. Listings in Rancho Viejo are updated daily from data we receive from the Las Vegas multiple listing service. To learn more about any of these condos or to receive custom notifications when a new property is listed for sale in Rancho Viejo, give us a call at 702-323-5991. Tenant currently on a month to month lease pays $750 per month, tenant would like to stay. Unit being sold "As Is". MLS#2088843. RX Realty. Move in ready. It is a must see! MLS#2087805. Realty ONE Group, Inc.
Sharp 1 bedroom, 1 bath upstairs condo, overlooking the pool, spa, green area, Shows great, highly desirable unit and location. MLS#2087068. RE/MAX Excellence. Current Tenant Is On A Month To Month Lease MLS#2081209. Newman Realty & Property Mgmt. Home includes brand new kitchen cabinets, new sinks, and faucets throughout, New Laminate flooring, new carpet in the bedrooms, new paint, beautiful quartz countertops, and stainless steel appliances. Only minutes away from stores. MLS#2074579. Vice Realty. HOA allows pets by approval and individual bases. MLS#2070204. Wardley Real Estate. Conveniently Located Near Shopping, Parks, Restaurants, Golf, And More. MLS#2064674. Scofield Realty Inc..
Conveniently Located Near Shopping, Parks, Restaurants, Golf, And More. MLS#2064673. Scofield Realty Inc..
Upstairs unit has been well maintained. MLS#2063647. Wardley Real Estate. Gated community with pools, spa, clubhouse, exercise room and nicely maintained grounds. MLS#2059531. NewMarket Realty Group LLC. Dining room & breakfast bar for additional seating. Investors welcome! MLS#2059113. Urban Nest Realty. 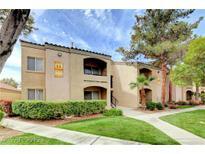 Close to shopping, schools, and the famous Las Vegas Strip. MLS#2059254. Elite Realty. Come see for yourself, fall in love and make an offer. MLS#2026385. Urban Nest Realty. Come see this wonderful home today! MLS#2026284. International Properties. This is a cozy one bedroom downstairs unit this has a great floorplan , plus lot's of very nice HOA amenities to include 2 sparkling pools , Clubhouse with kitchen , fitness center , Lounging area with Fireplace and a Big Screen TV Viewing Room , close to Schools , Shopping and just a few miles from the Las Vegas Strip , great location MLS#1995365. Simply Vegas.